Dark colour. Concentrated red berry – so much so it’s like a sauce reduction. Clinical, clean lines – very linear but silken. Really good intensity and even an impression of flavour! Despite the note it tasted pretty good. Plenty more left for experimenting with the vintage over the next decade and a half! 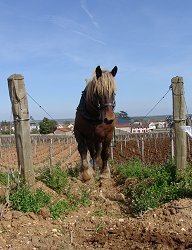 From a single lieu-dit, only worked for 2 years in manner Nicolas would like, but he was happy enough with this vintage to include some stems. The nose is a little shy, but clearly pretty and floral. The width of flavour is very nice, the tannin edges just ahead of the fruit today – but it’s a good velvet texture. This is a very good value wine, not only is it well priced for a villages wine, as we now know it also contains a significant amount of 1er cru grapes from Carelle Sous Chapelle, Les Brouillards and Les Lurets. Double decanted an hour before pouring. Aromatically this is a little mute but there are fresh, high-tones of dark red fruits and fainter, high-toned floral aromas – very fine fruit – and the empty glass smells of rose petals. 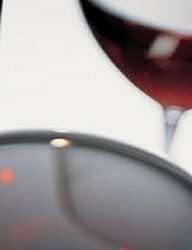 The last vestiges of fat are melting as the acidity starts to come to the fore – very smooth before a hint of tannin in the back-end. Certainly there’s a really nice depth of fruit with a decent length and a residual hint of sweetness, but here’s a tight wine. With the merest hint of a wince, this is drinkable today, but realistically it is already set for a 10 year-plus sleep – I think I’m lucky that I didn’t meet it earlier – otherwise I might have bought 2 cases! A medium-plus core of ruby-red colour. The nose starts a little dense and unyielding, only slowly and partially opening to give a tense, brooding red cherry impression against fainter savoury elements, perhaps hinting at brett. In the mouth this is silkily textured, still with a grain to the background tannin. The acidity is not perfectly seamless in the mid-palate, but makes your mouth gently water. In the mid-palate there’s a very impressive concentration of clean and tasty fruit that does have a small burst of additional dimension. A good finish. This wine has only very slowly opened in the last couple of years and I would say it needs another couple of years to start drinking well, I’m just a little concerned about that bretty element on the nose. A successful ‘97. ‘Found’ in a Swiss auction for the price of a 2004 1er cru. Drunk at the domaine – and why not – despite their cellar of old wines, even David Croix hadn’t tried a Giroud ‘55. The bottle, label and capsule were absolutely correct, and the level was only about 4cm from the cork which, by some miracle, I removed (about 1 hour before pouring) in only two pieces without dropping bits in the wine. The colour held a very nice core of deep salmon red. The nose was most intruiging; deep and apparently oaky over a few truffle notes. Slowly the ‘oak’ fades and reveals something much more like coffee – little fruit but clearly very alive – over about 1 hour (it was shared between 9 of us) it continued to change. In the mouth it was a soft entry and a rather metallic taste, the acidity seeming a little coarse before a long and very engaging finish. With food the coarsness faded almost into the background. Not a great wine by any means, but captivating to spend an hour with!